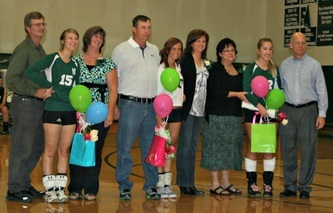 Volleyball's last home game and senior night. 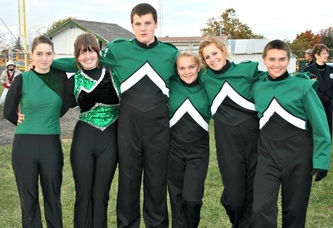 All of the Northridge marching band and flag corp seniors. 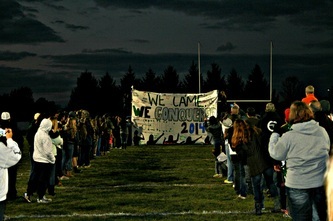 Varsity football senior night and last home game. 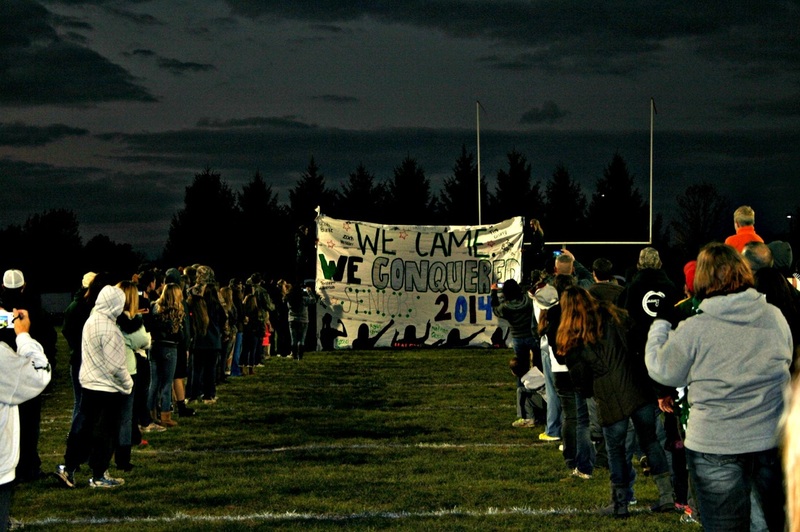 NORTHRIDGE- As the seniors complete their season they carry what they have learned into their future everyday life. Most of them say they have really enjoyed their time during this season and cherished every second. Summer Prevost (14’) played soccer in high school. Prevost said “it’s taught me time management, balancing that with basketball, track and equestrian stuff on top of school.” She also said it’s taught her to be competitive. Prevost hopes to play in college, but isn’t sure about it yet. 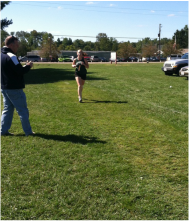 Kaitlin Garee (14’) was a cross country runner in High School. She loved it because it was low key and she didn’t have a lot of pressure on her. She said it helped her, “come out of my shell.” Garee also said, “It taught me to never give up and also endurance.” Garee hopes to run in college but is unsure of what college yet. AJ Mooney says playing football taught him that dedication and hard work pay off. Mooney said, “As a person it helped me to meet and know new people and to be resilient.” He also said “the only things I’ll take away from it when I’m older are the memories.” Mooney plans on playing football at Ohio Dominican. Sara Pribonic (14’) played volleyball in high school. She learned a lot about the game of volleyball and also about life in general. Pribonic said, “I learned how to work with people, struggle through the hard times, counting on one another, and how to enjoy the good times when all of your hard work has paid off. It’s the best feeling ever.” Pribonic isn’t sure if she will play at the collegiate level or not. Danielle Salamone (14’) was a cheerleader in high school. Salamone said, “It was the best memory of high school and I created a lot of memories with friends.” For her it taught her to be more respectful and how to work with people. 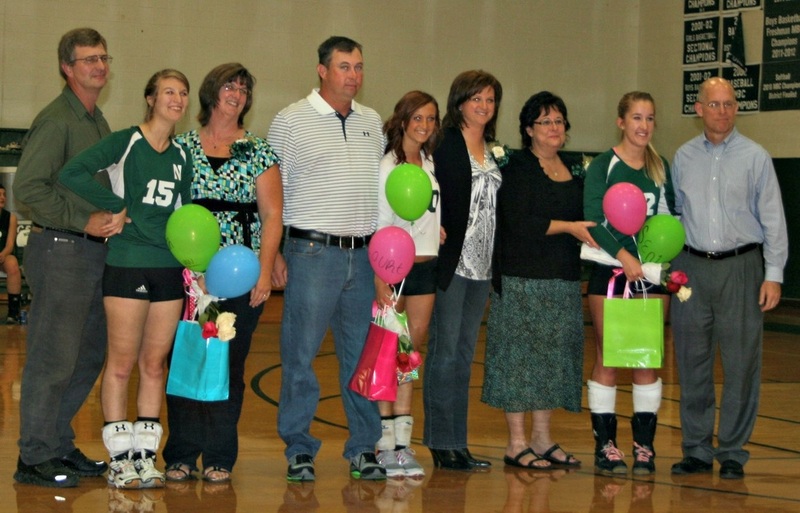 Seniors athletes were celebrated at various Senior Nights over the last couple of weeks. Jacob Burke (14') has played football and wrestled in high school. During the Licking Valley game he tore his ACL and meniscus. He was out for the rest of the football season, as well as wrestling season. He has surgery October 29th. Burke plans to play football in college but is yet to determine which college. NORTHRIDGE- This year's cross country team consists of four people: two guys and two girls, and they're a determined lot. Both the girls are seniors this year: Vivian Carney and Kaitiln Garee. 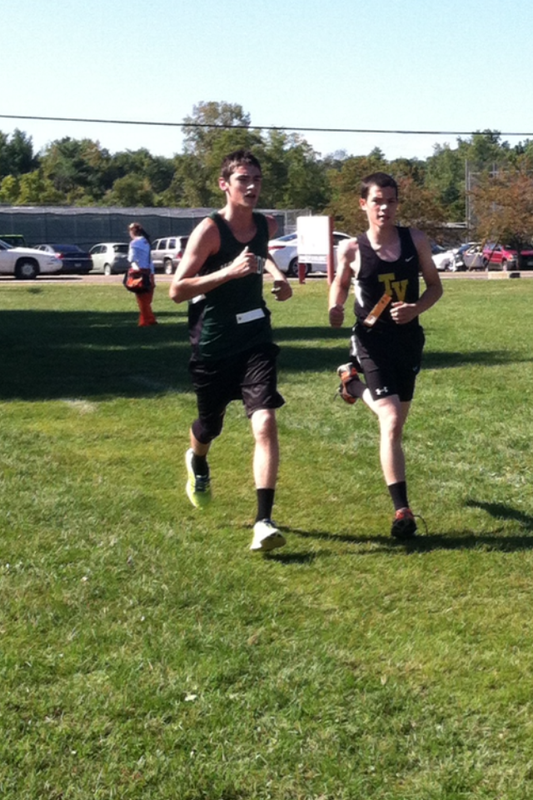 The guys are Colin Evans ('16) and James Peak ('17). The coaches are Coach Gene Weil and Coach Kim Garee. 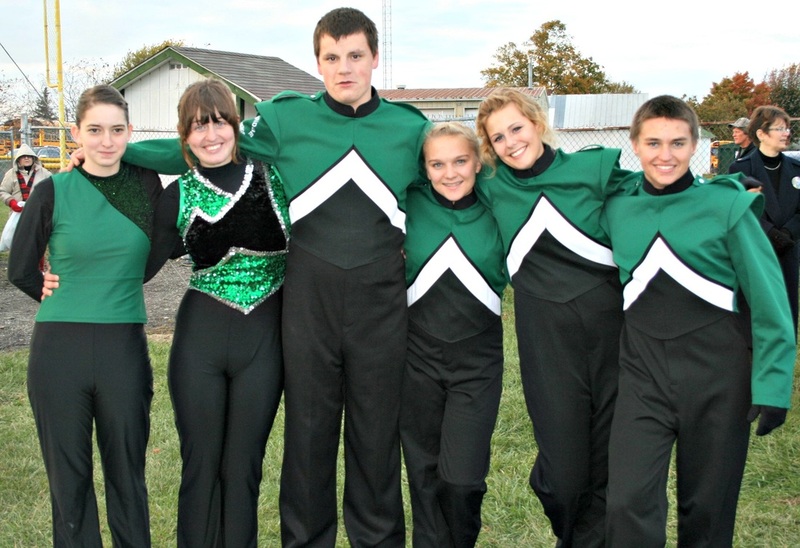 At the meet held on Saturday September 14 at Newark, each member of the team broke their personal records. Carney's ('14) time was 29:08. Garee's ('14) time was 25:04. Evans's ('16) time was 19:36.8 Peak's ('17) time was 22:27.8. The team practices every day after school, along with some middle school cross country runners, unless they have a meet. Most of the meets are on Saturdays, but there is the occasional Tuesday meet. "I like how relaxed it is and how everyone is super encouraging even the other runners," Garee ('14) said. This is her third year running. Evans ('16) has been running since 7th grade, and he says, "I enjoy running because I like being out in the woods and the feeling of being able to concentrate on nothing and everything at the same time. The practices are fun, and they aren't too hard. Plus you make a lot of new friends at the meets, just everyone in general is usually extremely nice,and I encourage everyone to come out and run next year and see if you can beat me 'the fastest kid in the school' ." By the end if the season the team as a whole hopes to take off even more time on their personal records. NORTHRIDGE- The soccer team is off to a good start in a new league. The soccer program has grown over the past two years. There are almost thirty kids on the team this year. The team has responded well to the new league, the LCL or Licking County League. They are faced with tougher opponents and are stepping up to the occasion by playing competitively and keeping a good morale. The team also participated in Breast cancer awareness by having a “Kick for the Cure” night. 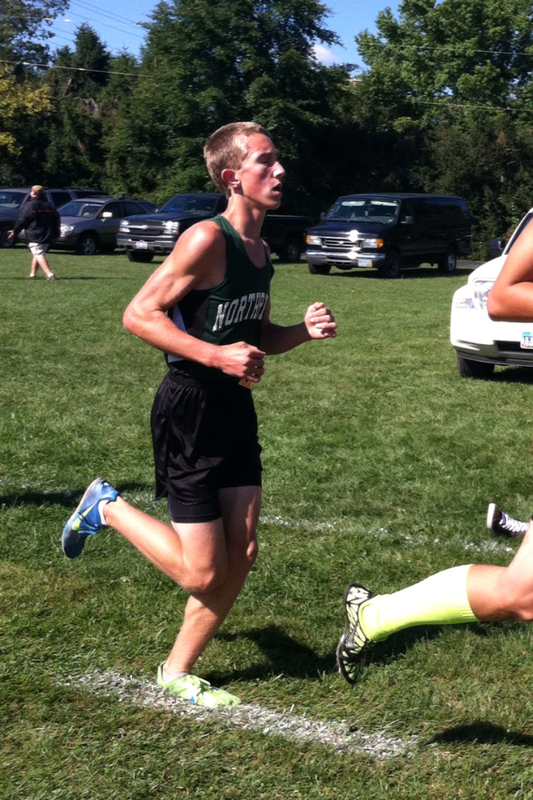 Senior Connor Johnson is one of the team’s leaders. Johnson has been playing the game since he was four years old. This season he has played forward, but is out due to a back injury. Johnson’s favorite part of the season has been “working together as a team”. Senior Michael Travis has also been a leader to the team this season. Travis plays as a center, mid-field, defender, and an attacker. Travis simply stated his reason for going out for the team was “it’s fun and I like to play”. His favorite part of playing on the soccer team is “Coach Leonard”. Zach Hossler is the senior Editor-and-chief for the Viking Vault.